A family pet cat that escaped his cage at JFK airport has been found after going missing for 61 days. NBC's Tom Llamas reports. Jack the cat, at large at John F. Kennedy International Airport since escaping from his cage in the American Airlines baggage claim area two months ago, has been found. Jack's owner, Karen Pascoe, said he is in critical condition. "He's being administered fluids, has low blood pressure and is dealing with the effects of prolonged malnutrition," she told msnbc.com. "While the prognosis is good overall, he's not out of the woods yet." 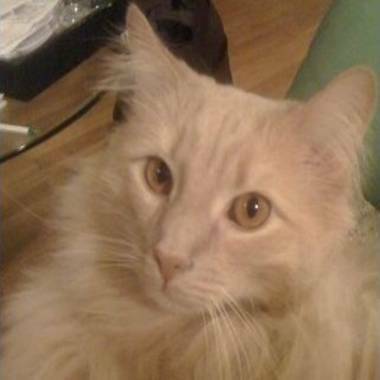 Jack got loose in the airline baggage center at JFK on Aug. 25, after Pascoe checked him and another cat in as cargo. A day later, parts of the airport were shut down in preparation for Tropical Storm Irene. Since then, more than 16,000 Facebook fans of Jack the Cat is Lost in AA Baggage at JFK have been following search efforts that have included at least two Jack the Cat Awareness days, a pet Amber Alert and the hiring of a pet detective. "I'm relieved and happy that Jack has been found," Pascoe said. "He needs some time to get back in health after the ordeal, but is in good hands with the vets who are taking care of him." "He was found when he fell through a ceiling tile at Terminal 8," Pascoe said. A customs employee discovered Jack and turned him over to the airline. Jack the cat, lost at JFK airport for two months, has been found alive and healthy. American Airlines said once Jack is ready to travel, the airline will fly him to California to be reunited with his owner.